Please note: I saw the premiere of this production for free on the courtesy of Tampereen Teatteri. 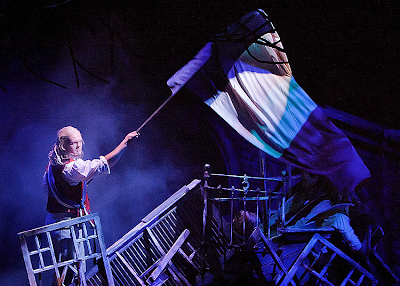 Many people judge a good production of Les Misérables by how much it makes them cry. I don't. Though I love it, Les Misérables doesn't make me cry. Instead, I know a good production of Les Mis by heart rate. The faster my heart beats during Do You Hear the People Sing reprise at the very end of the second act, the better the performance. Yesterday, seeing the premiere of Tampereen Teatteri's Les Mis, I was afraid my heart might burst out of my chest. This production is, apart from a couple of adds and a couple of cuts, a replica of Åbo Svenska Teater's Les Misérables (also directed by Georg Malvius). Therefore, if you wish to know more about the sets and direction, you might want to check out my ÅST review. I've pretty much forgiven the theatre about staging a replica. It would've been really nice to see something new – but if they had to copy, I'm glad they copied the absolute best, copied it well, and modified it beautifully. I may write a full post about the differences in between the two when I get more familiar with the TT production, but in this post, I'm going to concentrate on the performances. Before that, though, a couple words about the translation. First: if you don't speak Finnish but want to see this, no problem: the show has subtitles in English. Second: the Finnish translation Jukka Virtanen and Kristiina Drews (that I've disliked before) is more bearable when heard and not read, and there has been some fixing done for this production. It actually does have a couple of clever moments! Still, it's not great. Some of the wordings are so silly they made me laugh... It could be worse – but it could be way better, too. Alfie Boe in the 25th Anniversary Concert. I like! As for Harjunniemi's acting – I'm afraid I'll need to see this production for a second time before deciding what I think. I didn't dislike him, it's not that, he seemed to have a good grasp of the character. I just can't put what I liked and didn't like about him into words quite yet. Maybe I just concentrated too much on the lovely singing last night! I shall edit this entry when I see the show again and have a more solid opinion. 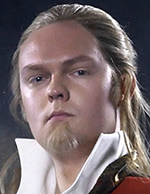 Edited to add 20/9/13: I saw the show again yesterday and have now decided what I think about Harjunniemi as Jean Valjean: I love him. It seems Harjunniemi's acting is a bit subtle, so it's hard to appreciate the facial expressions and such from the way back. But when you get to see him from the front rows... I was amazed. From an almost animal-like scary convict to the mayor to the dying man looking back at his life, this Valjean really grows and changes during the show. And sings so beautifully during all that growing as a person! Edited to add 1/12/13: I was lucky enough to see Heikki Mäkäräinen as Jean Valjean yesterday. He had rather big boots to fill – but didn't disappoint one bit. Mäkäräinen is only 25 years old, so it's no wonder the tone of his voice is a bit too young for the part. Despite that, though, I really enjoyed his singing. It was clear he's also thought about the role a lot. He had some amazing little character moments. 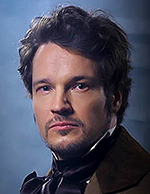 I should also mention that I think Jonas Saari as Javert was the perfect opposing force to Mäkäräinen's Jean Valjean. I really liked the dynamic in between the two. To me, it felt more convincing and interesting than any other Jean Valjean and Javert pair I've seen in this production so far. 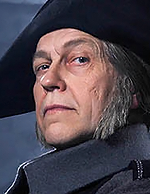 Sören Lillkung, the principal Javert, was away due to illness last night. 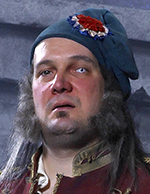 In his place, Jonas Saari played the role of Javert. And played it well! Though he is rather young for the part, Saari sung like a principal, his Stars was simply beautiful. I also liked his acting choices. 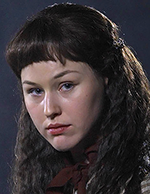 A little moment where Saari backed away from the bridge briefly during Javert's Suicide stuck to me especially – I felt it was very poignant. All in all, a good performance, I wouldn't mind seeing Saari again (though I of course hope Lillkung gets better soon!). Edited to add 1/12/13: I got to see Saari as Javert again yesterday. Has he gotten even better or had I just forgotten how good he is in the role? I couldn't even see half of Javert's Soliloquy from my seat and was still so impressed I had a hard time remembering to breathe. Edited to add 20/9/13: When I saw the show again on September 19th, Lillkung was still away and Mikko Siltala played the role. 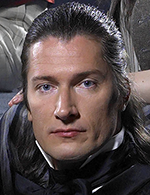 Siltala is what I would call a standard Javert: he sung the part well and I don't have any major complaints about his acting, but no moment really stood out either. Apart from the moment in the very beginning where Javert drops Valjean's ticket of leave – deliciously nasty. Still, as far as understudies go, I'd rather see Saari again. Edited to add 11/10/13: Finally! Sören Lillkung is back as Javert! Tampereen Teatteri's Les Misérables is Lillkung's third time playing Javert. I've seen him in Åbo Svenska Teater before, and, if possible, I think his acting has gotten better since the ÅST production. His Javert truely feels like a real person, every acting choice seems well thought out to me. And then there's the voice. Javert's songs can't get much better than this, they sound insanely good. Since both of the leads have classical training, The Confrontation is a treat to the ears. Lovely. Very very beautiful voice, such strong acting and singing during I Dreamed a Dream (chills ran down my spine), such gentleness and beauty during the Epilogue. In this production, I Dreamed a Dream was moved after Lovely Ladies, like in the movie. It was a good choice but had its cost. The song makes much more sense in its new place, but on the other hand, having two big ensemble numbers back to back (At the End of the Day and Lovely Ladies) feels too heavy and makes Fantine's descent feel rushed. But the song itself is a lot more powerful in its new place, sung after Fantine has hit the rock bottom. So, as a whole, I think it's a good choice. 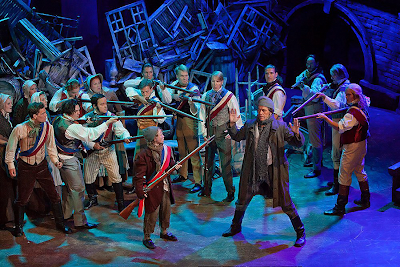 Compared to the Åbo Svenska Teater production the Thénardiers had more funny moments here (though they're still not – thank goodness – West End-level funny). 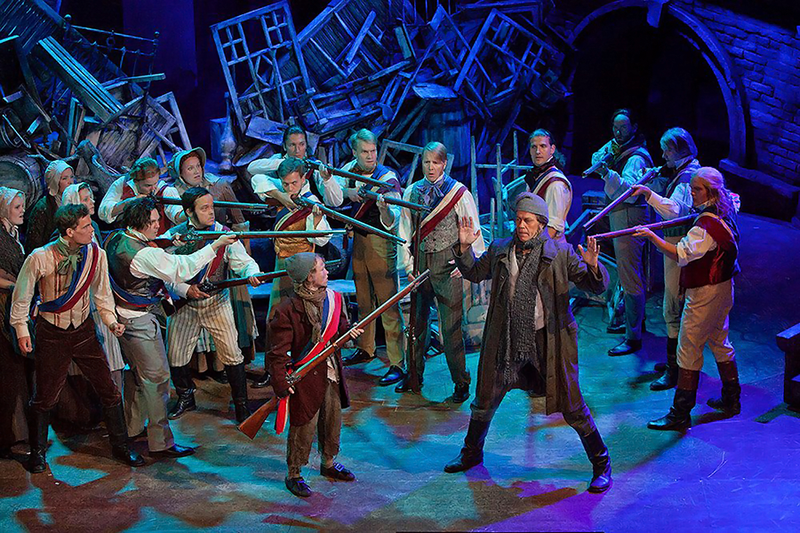 I dislike Thénardiers that are there only for the laughs. Luckily, the humor here was delivered well, and Majamaa's Dog Eats Dog balanced the situation nicely: it's one of the most vile, creepy takes of the song out there. Good job with that! There was also nice chemistry in between the pair. Fun fact: Ritva Jalonen played Fantine in the 1984 Tampereen Teatteri production of the original 1980 concept version of Les Misérables! 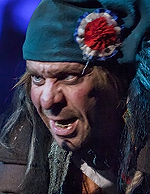 Edited to add 11/10/13: Risto Korhonen as Thénardier... 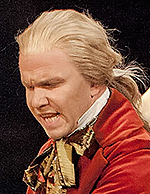 He looks quite a lot like my mental image of Thénardier, but to be honest, I didn't find much in his performance to like. Korhonen really overdoes the humorous scenes. He tries to be funny so hard that the whole performance ends up unfunny. To make the matters worse, I think Korhonen's Dog Eats Dog is bland, not nasty enough at all to balance the rest of his performance. 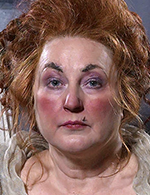 I also think Jalonen's Mme T. has better chemistry with Majamaa's Thénardier. Metsäketo has played Marius previously in Helsingin kaupunginteatteri and Åbo Svenska Teater, and I'm afraid he has now done the role one time too many. 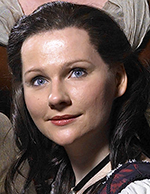 Metsäketo's performance hasn't changed from the ÅST production at all. Though he has some good moments, I don't feel he's good enough to warrant the age gap: especially when contrasted with the 20-something-year-olds as Cosette, Éponine and Enjolras, a 39-year-old Marius feels too old (I've discussed this issue previously). I also think that Metsäketo's take of the part is starting to sound, for the lack of a better word, too operatic. Personally, I prefer Mariuses with more boyish voices. And what's up with the hairstyle? Such a lovely princess! Nedergård's Cosette was about everything I hope to see in the character: bubbly and dreamy, but also headstrong, with a beautiful voice. Not to mention that she looked cute as a button in her costumes! The connection in between Jean Valjean and Cosette felt especially clear and true here, I truely believed Valjean when he sung that Cosette is the best of his life. I also really liked the moment where Cosette and Éponine see each other through the gate. Another gorgeous voice, On My Own really doesn't get better than this. And great acting on top of that! I liked that Lehtonen's Éponine seemed somehow almost a little out of balance, reminding me of the book's description of the character. One of the most multi-dimensional Éponines I've ever seen: full of frustration, love, anger, desperation, even happiness. 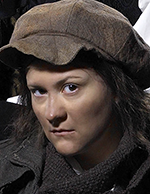 Edited to add 22/9/13: Acting-wise Pia Piltz, the alternate Éponine, is just as good as Lehtonen. If not better! She also does a great job highlighting the different aspects of her character's personality. With these two actresses, it's perfectly clear there's a lot more to Éponine than her unrequited love. To me, it feels like these Éponines are almost mad at themselves for loving Marius – though they know they can't change the way they feel. Singing-wise, however, I prefer Lehtonen. Piltz sings the part well, but Lehtonen is nothing short of awesome. Harjanne already played Enjolras in Åbo Svenska Teater. Then, I wasn't completely convinced: I thought he sung well but acted the part way too angrily. But now... He sings the part, he acts the part, he looks the part. He has truely become Enjolras. I only wish, and this is nitpicking, that he would sing the character's last note ("until the earth is free"). It's clear that Harjanne isn't struggling with the part vocally, every note sounds so beautiful sung by him – so why not sing the last one? Edited to add 1/12/13: To my disappointment, Harjanne's performance has been getting more angry again lately. Luckily, I finally got to see Lauri Liiv as Enjolras yesterday. Didn't take but six times in the audience... But I guess best things are truely worth waiting for – I was thoroughly impressed. I have a hard time putting it into words what I want to see in my ideal Enjolras, but Liiv met that mysterious criteria almost perfectly. The blocking has some odd moments in the beginning of ABC Café that I don't think really fit Liiv's interpretation (spinning around with a knife bothers me especially), but that's again nitpicking, the performance was amazing. I especially liked how there was a real sense of friendship and caring in between Liiv's Enjolras and the barricade boys. A great performance all the way through to the most effective death scene in recent memory, definitely a new favourite. Topi Lehtomäki as the Bishop. The best one I've seen onstage so far. Lauri Liiv as Bamatabois. The slimiest, most disgusting, best Bamatabois I've ever seen. Great! Edited to add 22/9/13: I've now seen Liiv as Bamatabois three times and feel like I could write an ode for him in the role. I've never been this amazed by a performance in such a short role. 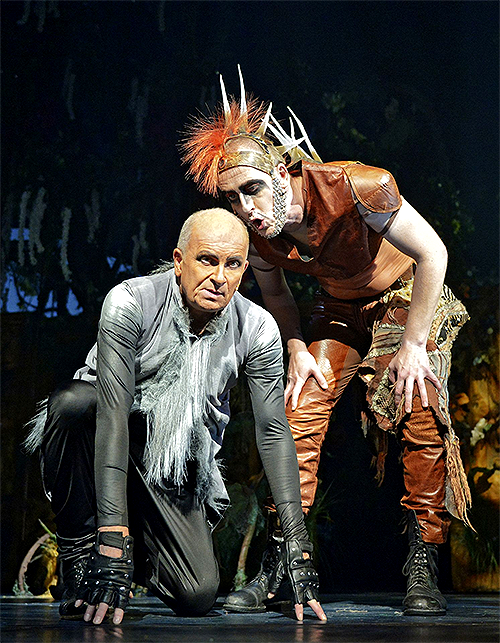 I want to see Liiv play all the nastiest onstage villains out there – based on his Bamatabois, I'm sure he'd be perfect. Kudos to the child actors! All of them were honestly very good. And kudos to the director for increasing little Éponine's time onstage by having her help her parents pickpocket during Master of the House. Edited to add 22/9/2013: I think I've now seen all the Gavroches. I couldn't wish for better performances! I think Arvid Lundén is my favourite: small and cute but filled with huge confidence and topped with a great voice – a true Gavroche. But the other two, Sampo Lintula and Niilo Karppinen, are good too. A big applause to all three! All in all, I used to have all sorts of fears and gripes about this production, but I don't anymore. I've a feeling I'm going to see this a dozen times more, and I'm also quite certain it will make my heart beat twice its usual speed each time. Related: interview with Tero Harjunniemi, interview with Samuel Harjanne. I've been waiting for Tampereen Teatteri's production of Les Misérables for a year and a half. Two months after having to say goodbye to my beloved Åbo Svenska Teater production, Tampereen Teatteri arrived to the rescue and announced they'll be premiering a new Finnish production of Les Mis in fall 2013. Tomorrow, the wait is over. The premiere is happening in less than 24 hours, and I will be there. Whatever happens tomorrow, whether the show will turn out to be fantastic or the audience will fall asleep before the first intermission, whether I will laugh or cry or be bored to tears... In a way, the most exciting part of being a Les Mis fan is, once again, almost over. The excitement of a new Finnish production of Les Mis being announced. The initial annoyance after hearing it'll be something of an ÅST Les Mis replica (what if it isn't as good? Or, even worse – what if it's better?). Then, all the previews, sneak peeks and promo photos... It has been so much fun keeping up with the updates, speculating and guessing. Tomorrow, the speculations will be over for good. There are many nice things in store after the premiere: seeing alternates and understudies, watching the performances evolve – not to mention the joy of seeing my favourite musical live again. But there's something special in the looking forward period. I'm confused: where did the year and a half go? Has it really been so long since the announcement? And even though I'm feeling almost nostalgic about all that time – how will I survive the hours left until seven o'clock tomorrow? My expectations for tomorrow are high. I still have some worries about the production (the feelings I wrote about in this entry aren't all quite outdated yet), but in general, I'm feeling good. There are many people in the cast I'm very excited to see, the sneak peeks and press photos have looked nice, the comments from people who've seen the previews range from positive to gleeful. Will this production of Les Mis be as special to me as the ÅST one? Probably not, not in the same way. ÅST's Les Mis was a life-altering experience for me and I doubt anything will ever be quite like it. But maybe the TT one will also be important to me, in a different way? Or maybe it'll just be a nice thing to have around for the times I feel like seeing my favourite musical live? Or something else – hate, love, indifference? As I briefly mentioned in my previous post, I spent the last two weeks of summer 2013 in the United States of America! To make it even more exciting, my American trip included a little visit to Canada. Apart from all my belongings being investigated by the border control, I had a very nice day in Vancouver, British Columbia. And what trip to Canada is complete without seeing some musical theatre? Not mine. I got to see Avenue Q, performed by Arts Club Theatre Company at Granville Island Stage. It's a shame Canada is so far away from Finland. 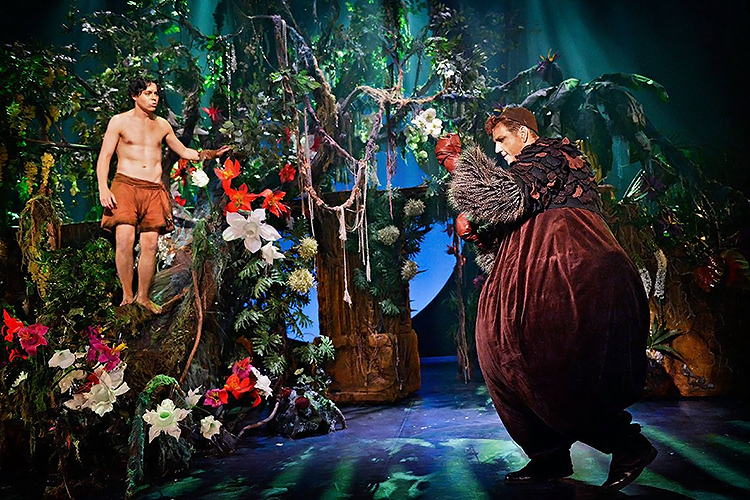 Based on this sneak peek of the Canadian musical theatre scene, I fell in love already! I wonder if it makes much sense for me to review Avenue Q performances. It seems the character voices and performances always follow certain patterns, no matter which production. Being a new fan of the musical, however, I'm afraid I can't really compare this cast to any others. But even so, I can safely to say the Canadian cast was all-around brilliant, all seven cast members were such talented singers and performers! I especially admired Scott Bellis, who played Nicky, Trekkie Monster and one of the Bad Idea Bears. How is it even possible he can change his voice completely like that when changing characters? As for the musical itself – the first act was some of the best musical theatre I've ever seen, really. I had of course heard many of the songs before, so it was great seeing them in context. And all the scenes were so funny! I don't think I stopped smiling for a second during the first half, it was that much fun. The second half, then, disappointed me. I don't remember seeing a script run out of steam during the second act as badly as Avenue Q's did. The second act felt almost like an unnecessary add. I felt the charity drive subplot and the ending wasn't in line with the mood of the first half, and most of the songs weren't as memorable either. My gripes about the script, or course, nothing to do with the brilliant cast, nor does the second act diminish the funny moments of the first one. I would see this again just for the first act – if I were Canadian, that is. Even though the second half drags, the first one is clever and funny enough to lift the whole thing well above average. Not to mention the all-around enjoyable performances! This production is still playing for four nights. If you're in Vancouver at the moment: go go go!